This week we got one small promo and one semi-big surprise one. 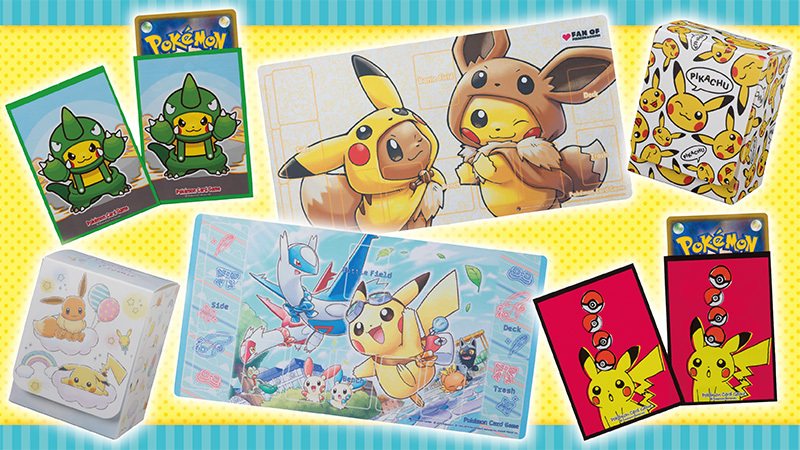 Pokemon TCG will be releasing a bunch of new card sleeves, deck cases, and playmats featuring artwork from previously released promotions as well as one or two original designs made specifically for this set of items. The line-up will go on sale at all Pokemon Centers & Stores in Japan April 26th (Friday). Called “Let’s Pretend To Be Wobbuffet” or “Minna de So-nasu” in Japanese, this original Pokemon Center promotion featuring Wobbuffet and some of his Pokemon friends acting like him, will go on sale at all Pokemon Centers & Stores in Japan April 27th (Saturday). Similar to the previously released and very popular Ditto Transform series where all Pokemon have Ditto faces, this promo features plush and mascot plush of Pokemon (like Pikachu and Eevee) with Wobbuffet faces. I’m not sure if this will take off in the same way that Ditto has, but I guess… we’ll see! That wraps up this week’s Pokemon Center announcements!